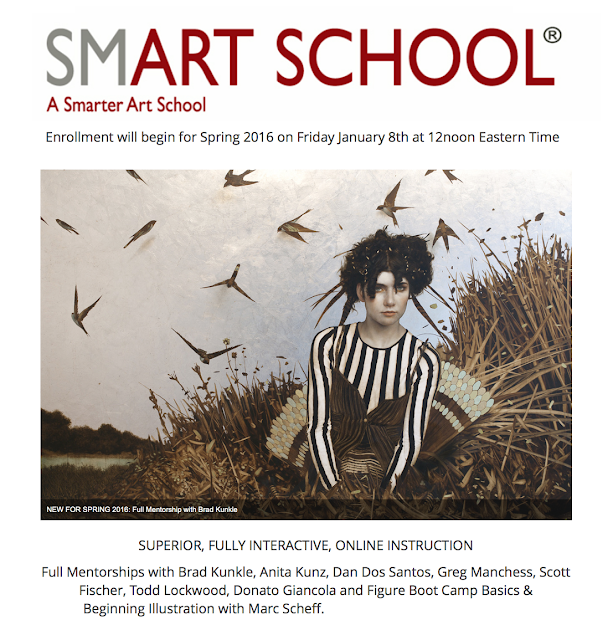 Just a quick heads up, SmArt School enrollment will open this Friday. I really can't recommend this program enough. I consistently see students and professionals alike make massive strides in their work and careers with the help of this mentorship program. Brad Kunkle is new to the roster of instructors this year, and I suspect spots in his class will fill up very quickly. So if you're interested, you may want to be ready come Friday.